At Bold Park Community School we aim to share our ideas and experiences with the professional community. Over the years we have developed a body of work which discusses the experiences we have had working within the school community and now we wish to share these wonderful and inspiring stories. The inspiration for this 56 page full colour book is the engaging environments of Bold Park Community School. In this community the challenge to include natural resources in indoor environments has been embraced as essential to the educational experience of the children and families. 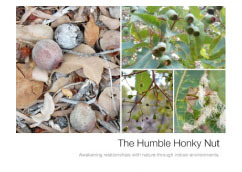 Whenever possible, provocations and possibilities engage children directly with found natural and created resources with a view to developing a deep love and respect for our human relationship with our environment. School resources strive to provide open-ended provocations and endless possibilities for creating and understanding. 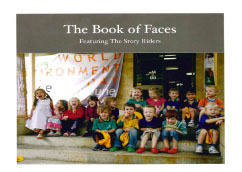 ‘The Book Of Faces’ features a class of four year old children at Bold Park Community School who called themselves The Story Riders. The Story Riders were invited to draw self portraits and were then offered an array of materials, ranging from industrial and static to soft and pliable, in order to recreate their self-portraits. This experience took The Story Riders on a journey that involved not only self discovery, it also created stronger bonds between the friendship groups within the class. A Glorious Day for a Garden Tea Party! BPCS respectfully acknowledges the Whadjuk Noongar people as the traditional owners and custodians of the land on which our school is situated. We acknowledge their ancestors, who for many thousands of years gathered on this site to live, learn and grow. We are committed to honouring the Noongar people and their heritage by building our young people's connection to this land through the inclusion of indigenous knowledge and perspectives.